1871: William Woods Holden is removed from office. He was a native of North Carolina and at the age of ten, began an apprenticeship at a newspaper and was working as a printer and writer by age 19. He studied law and was admitted to the bar in 1841, aged 22. He belonged to the Whig party. Two years later he became the owner and editor of the North Carolina Standard and he changed party affiliation to the Democrats. He became politically active and was elected to the North Carolina House of Commons where he served one term. He was a leader of the Democratic Party in the state but was unable to win the gubernatorial nomination and then his party passed him over for a seat in the US Senate. During the 1840s and 50s, he advocated for Southern state rights, expansion of slavery, and was even supportive of secession, but by 1860 his ideology had shifted to support the Union and his newspaper lost readers when he supported a unified country. He was sent by his County to vote against secession in 1861, but when President Lincoln asked for North Carolina to send troops to help suppress the seceding states, Holden changed his vote to secede. As the Civil War dragged on, he became a critic of the Confederate government and joined the North Carolina peace movement. He lost a bid for governor in 1864 running on a peace platform. When the war ended in 1865, Holden was appointed governor by President Andrew Jackson. Holden played a role in stabilizing the state during early Reconstruction efforts but lost an election later in 1865. Holden went back to his newspaper, but in 1868 he was elected as governor on the Republican ticket. At that time, he gave up his paper and began to track down Ku Klux Klan members using 24 detectives he hired to stop the KKK, the best record in the South. In 1870, after a new law was passed, Holden was able to use the state militia to combat the KKK and did so. Although the goal was to permit all legal voters to vote, the KKK’s tactics worked and Democratic Party regained majorities in both houses of the state legislation. With this power, they impeached Holden on December 14, 1870. The main charges against Holden were rough treatment and arrests of North Carolina citizens by the state militia which Holden formed after several lynchings. Holden was defended by well known attorneys but was convicted of six of the eight counts against him with the Senate voting straight party lines. The Democrats were able to also remove Holden from his position, the first governor to be removed from office by impeachment. Holden moved to Washington, D.C. and worked on a newspaper there. President Ulysses Grant made him postmaster from 1873 to 1881. Holden died in 1892 at the age of 73. In 2011 the North Carolina Senate pardoned Holden with a vote of 48-0. March 22, 1784: The Emerald Buddha is moved. The Kingdom of Thailand counts this statue as its palladium, an image or object of antiquity on which they depend for safety. The original Palladium was a wooden statue of Pallas Athena which Odysseus and Diomedes stole from the citadel of Troy and which was later taken to Rome by Aeneas. It remained there until it was moved to Constantinople and was lost. The Emerald Buddha is a figurine of the meditating Buddha in seated yogic posture. It is not made of emerald, but instead is made of green jasper, a type of quartz and/or chalcedony. Jasper’s most common color is red and rarely it comes in blue. Jasper is one of the traditional stones of March. The Emerald Buddha is about 30 inches tall and is clothed in gold. Legend states the Emerald Buddha was created in India in 43 BC by Nagasena, a Buddhist sage from Kashmir, who made the statue in the city of Pataliputra where it remained for 300 years. After that, the statue was taken to Sri Lanka to save it from harm during a civil war. In 457, a Burmese king requested the statue and scriptures to be sent home to help with study in his country. While in transport, the ship was caught in a storm and the statue ended up in Cambodia. The Thais captured Angkor Wat in 1432 and with it the Emerald Buddha which was moved to Laos where it was hidden. Historical sources note the surfacing of the Emerald Buddha in Thailand in the Lannathai kingdom in 1434. One record states the statue was in a building struck by lightning and when it was dug out it was thought to be made from emerald, hence the name. A less romantic version says that in Thailand “emerald” simply means “green colored” and is not specific. An elephant carrying the statue was supposed to go to Chiang Mai, but would not travel there and went to Lampang three times. This was seen as a divine sign and the Emerald Buddha stayed there until 1468 when it was finally taken to Chiang Mai. It stayed there until 1552. It was then taken to Luang Prabang until 1564 when it was brought to Vientiane. In 1779 it was captured during an insurrection and brought to Siam and on this day, it was ceremoniously moved to its current home – Wat Phra Kaew. Wat Phra Kaew literally means Temple of the Emerald Buddha. It is regarded as the most sacred Buddhist temple (wat) in Thailand. It is located in the Phra Nakhon District or the historic center of Bangkok. The Buddha has remained in the specially built temple for hundreds of years. He has three different sets of gold clothing. The King of Thailand or a liaison changes the Buddha’s outfit at the changing of the season, around March, July, and November. The three sets of clothes correspond to Thailand’s three seasons – the summer season, the rainy season, and the cool season. Two sets of golden garments are displayed at the Pavilion of Regalia on the grounds of the Grand Palace when the statue is not wearing them. There they can be viewed by the public. Elite Golf – In 1934, the first Augusta National Invitational Tournament was held. March 22, 1989: Ice hockey goaltender Clint Malarchuk is hurt during a game. Malarchuk was playing for the Buffalo Sabres. They were hosting the St. Louis Blues. Steve Tuttle of St. Louis collided with Uwe Krupp of Buffalo in front of the goal. Tuttle’s skate blade caught Malarchuk on the neck and severed his jugular vein. Bleeding profusely, Malarchuk managed to leave the ice under his own power with the help of the team’s athletic trainer, Jim Pizzutelli. Hockey is known for its violence and injuries are commonplace. Even so, the amount of blood on the ice was overwhelming. In the stands, nine people fainted and two others had heart attacks. Three of Malarchuk’s teammates vomited on the ice. The game was being televised and the cameras cut away as soon as they realized the extent of the injury. Malarchuk’s mother was at home watching the game. Malarchuk said he knew he was dying and didn’t want his mother to see him do so. He had someone call her and tell her he loved her and then sent for a priest. Pizzutelli had been a medic in Vietnam and he is credited with saving Malarchuk’s life. He pinched the major blood vessel closed and did not let go until doctors arrived and began to suture the wound. Doctors said if the blade had hit just 1/8 inch higher, Malarchuk would have been dead within two minutes. Instead, they worked for 90 minutes and placed more than 300 stitches to close the wound. Malarchuk spent one night in the hospital and was back at practice 4 days later and back as goalie a week after the incident. Malarchuk continued to play until 1992 and went on to coach the sport. The NHL does not require players to wear any sort of neck protection. In 1995, Swedish hockey player Bengt Akerblom was injured in a similar manner and died due to blood loss. On June 1, 1996 Swedish players were mandated to wear neck protection. On February 10, 2008 while the Florida Panthers were in Buffalo, Richard Zednik was also injured by a skate blade cutting his neck. He, too, survived. This article first appeared at Examiner.com in 2010. Editor’s update: Only two players from the NHL have died as a result of on-ice injuries. Howie Morenz (1937) died from complications from a broken leg, suffered on the ice while playing for the Canadiens. While recuperating in the hospital, he began complaining of chest pain and which may have been a heart attack. He tried to get up, but collapsed onto the floor and was found there, dead at the age of 34. Bill Masterson (1968) was moving the puck down ice when he was checked. He fell backwards onto the ice and struck the back of his head. He received a massive brain hemorrhage and died two days later at the age of 29. Akerblom played for a Swedish team when he was injured in the same manner as Malarchuk. Not as lucky, he bled to death at the age of 28. On August 12, 1983 Judy claimed Ray Buckey, Virginia’s 25-year-old grandson, had sexually molested Billy. Judy met with Detective Jane Hoag on August 18 and Billy was interviewed at the police station on August 30. Ray was arrested on September 7 and the next day the police chief sent out 200 letters to McMartin Preschool parents concerning suspected abuse and asking for information. In October, Children’s Institute International was consulted. In November, Kee MacFarlane began interviewing children to find those who were abused. By March 1984, there were 360 cases of abuse uncovered. The abuse was not only sexual in nature, but bizarre in practice. The children were being used as part of a satanic cult. On this date Ray, his sister, mother, and grandmother, and three other employees were indicted on 115 counts of child sexual abuse. The numbers kept escalating for both the victims and the perpetrators. By August there were an additional 397 charges brought. Investigations continued for three years. Judy Johnson died of alcohol poisoning in December 1986 before she had a chance to testify. The trial for Ray and his mother began July 14, 1987 (all the other defendants had been freed). The end result was all charges were dropped; there were zero convictions. Ray had spent five years in jail, his mother had been jailed for two years. The children’s testimony was questionable. The method of extracting information proved to be coercive with interviewers using suggestive questioning. The children were giving false memories in answer to questions in order to placate the adults. The case cost $15 million to prosecute. The preschool was destroyed while looking for secret rooms used for satanic rites – in vain. This was only one of many cases of false memories being elicited and victimizing innocent adults. Some of those accused spent decades in prison. 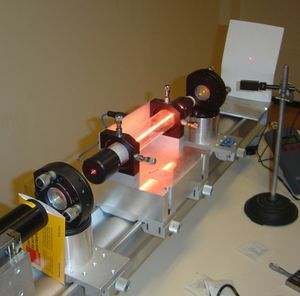 Laser – In 1960, the laser was patented. March 22, 1978: Karl Wallenda dies from a fall. Karl was part of The Great Wallendas and was 73 years old at the time of his death. He was born in Magdeburg, Germany. He had been performing with his family since he was six. The Wallendas were already famous in Europe, especially noted for their four-man pyramid and cycling on a high wire when they came to the US in 1928. They joined the Ringling Brothers and Barnum & Bailey Combined Circus and their debut was held at Madison Square Garden. They performed there without a net because it had been lost in transit. They were met with a standing ovation. They were performing in Akron, Ohio when they fell from the high wire. No one was injured. The next day, a newspaper reported “The Wallendas fell so gracefully that it seemed as if they were flying.” Their name changed to The Flying Wallendas after this. In 1944, they were performing with the circus in Hartford, Connecticut when a fire started and killed 168 people in a disaster called the Hartford Circus Fire. None of the Wallendas suffered injury. In the following years, Karl developed a seven-person chair pyramid. They performed the act successfully for years. In 1962, while performing in Detroit, the front man on the wire faltered and the pyramid collapsed. Two men were killed when they fell to the ground. Karl himself injured his pelvis and his adopted son, Mario, was paralyzed from the waist down. Another Wallenda fell to her death in 1963 and Karl’s son-in-law was killed when he touched a live electric wire while holding metal rigging in 1972. Karl continued to perform, sometimes with smaller groups and sometimes solo. He successfully crossed the Tallulah Gorge in Georgia in 1970. On this day, Karl was attempting to walk a wire between the two towers of the ten-story Condado Plaza Hotel in San Juan, Puerto Rico. The wire was struck 121 feet above the pavement. Winds were gusting at 30 mph and Karl fell to the ground below. Other family members state the tragedy could have been averted, but several of the guide ropes along the wire were not properly connected for the windy conditions. Other family members continue to perform and The Flying Wallendas remain active. Clint Malarchuk – In 1989, Malarchuk was critically injured on the ice.